When it rains, it pours. Agree! Same period year ago, call me outdated, but BB Cream is something totally obscure by yours truly. And now, for the past seven months, it seems that I'm getting a new BB Cream to try every month or so. I love. This time, I'll be talking about Luview. Finally! Not to preempt, Luview is another Korean Brand that is gearing up to go global. I love that they have a working English Website. Since most details are provided on the site, I'll just walk you through on my experience since the nitty gritty are all happily available on their official site here. And they have an active Facebook Page too, where you can find several product enthusiasts to help you on just about anything concerning the brand. 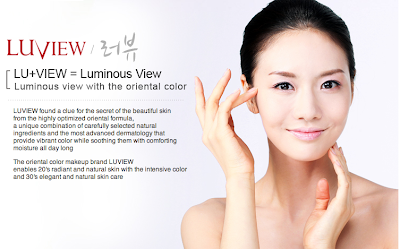 The Luview Crystal Cover BB Cream is Mineral enriched BB Cream with reinforced benefits on UV Protecting with SPF 30, Whitening, Wrinkle Improvements. Again, English detailed product descriptions and benefits, and how to use are printed on the box. Although, ingredients are listed in Hangul. I just can't find it though what shade is sent to me. I'm assuming that it's the Natural Beige, because it's on the darker beige shade than my usual BB Creams. Swatch. The consistency is thicker and creamier than my usual, but the coverage is actually on medium to buildable full coverage. Please notice how my veins and moles are concealed, a rarity! 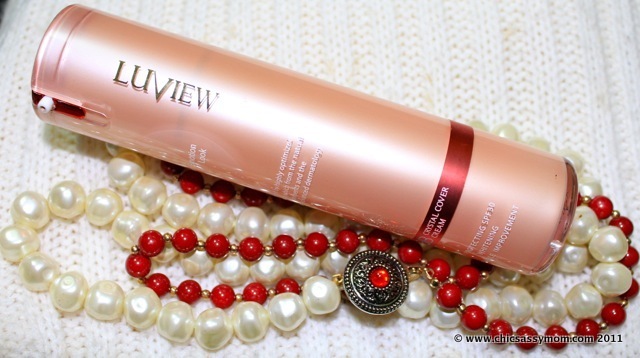 Luview Crystal Cover BB Cream forte is for that "splendidly, shining skin." It leaves a matte finish without flash on, but still shows off just the right healthy glow with flash on. This is already considering that I have an oily/combination skin type. 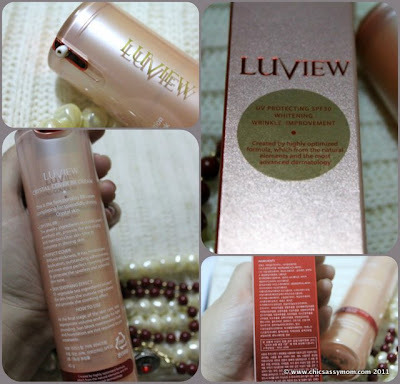 And before applying, I even lavishly spritz Etude House's Water Veil Fixer Mist as an additional moisturizing boost. Nothing really grand, except my discolorations (age spots?!) and some on and off breakouts for my blemish concerns. 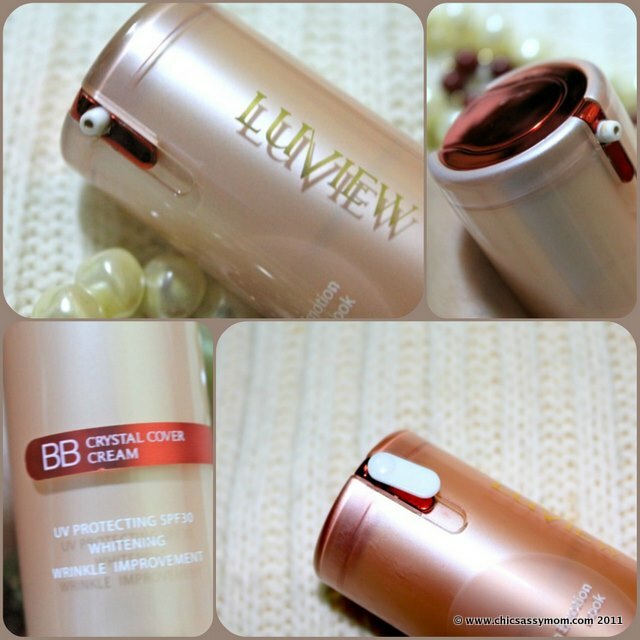 I've been using the Luview Crystal Cover BB Cream for several events now in varying weather...rainy, stormy, and extremely sunny like today. So far, I appreciate that it doesn't bleed if there's such thing. 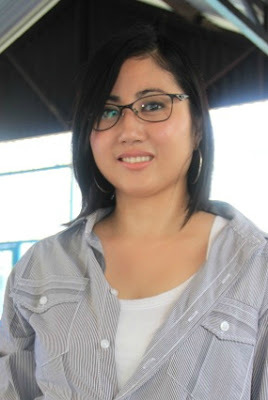 Most of the events I attended are outdoor, and mostly with my son. So I'm not in a complete relax mode, last time I was planning a birthday party, today, it was for his recital. I love that when I sweat, and blot it out, there's very minimal, almost barely there, residues on the tissue. It tells a great deal on the "outstanding adhesiveness" of the formula. No breakouts too. Again, I can go on endlessly with my ravings. But, I'll just note down the differences vs. my previous BB Creams. Love that it has a far better coverage. Love that even though it's the consistency is thicker than usual, it still leaves a lightweight and non-greasy feel. Love the brand's glitzy color themes for its packaging. The cream tends to be dry to be absorbed faster than the usual. In effect, you actually need more, as in a lot, to get the perfect coverage. This is to think that I'm using a stippling brush, but I still need more. And if I dilly, dally, some will be absorbed at the back of my hand, which I used as my palette. Anti-Wrinkle and Whitening effects...I can't say for sure, because I don't get to stay on one BB Cream to realize the long term effect. 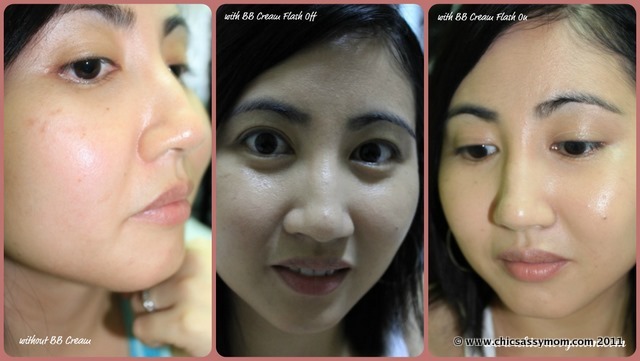 Although, most of the BB Creams I've been using have Anti-wrinkle effects. Lucky too, that wrinkles are not my main concerns just yet. Comes with safety seal, pump spout, with a replaceable, plastic cover. I'm not sure, but it sorts of leave my brush discolored, even washing it thoroughly with warm soapy cleanser. That cover is so tiny given that it's detacheable, that I actually had to delay the photo documentation because I misplaced it. I'm wearing Luview Crystal Cover BB Cream and One Touch Brush Sun Powder. 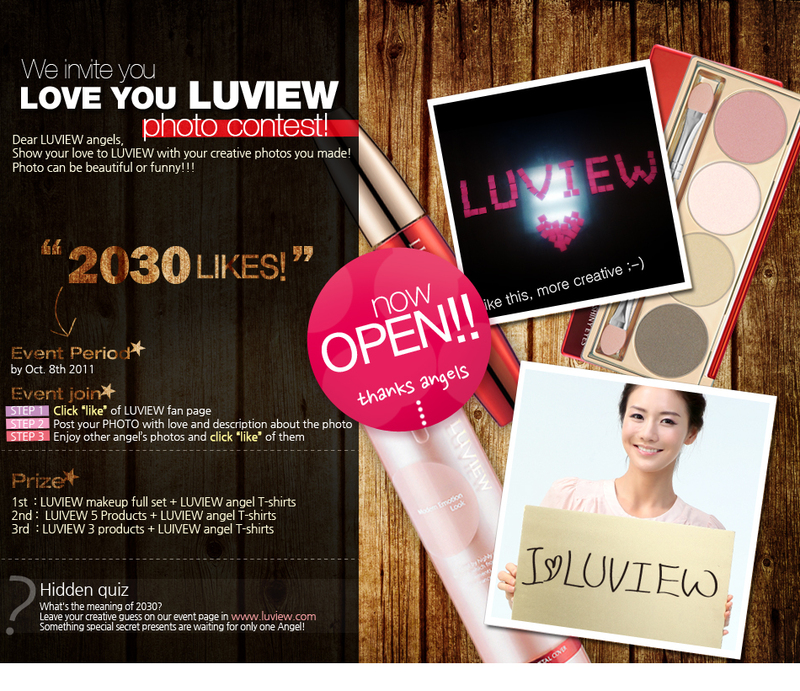 To join, please visit the official LUVIEW Cosmetics FB page. looks natural on you,does it stay long?